Zoser Real Estate offers advice and support to people who are in search of a house, apartment, or holiday home in the Netherlands or in the world’s oldest holiday destination, Egypt. 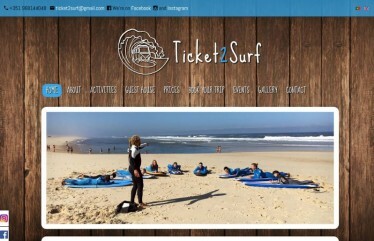 I designed & built this website with Joomla CMS. I also designed the pyramid logo, business cards, and other corporate identity elements of Zoser Real Estate. 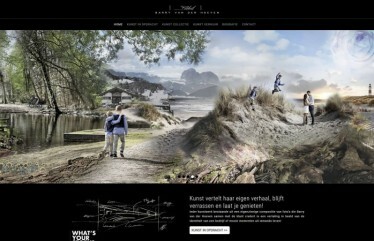 Van Wilsum Van Loon is a popular (large project) architecture firm based in The Netherlands. I designed & built this custom made portfolio website with Joomla CMS. It also had a responsive full screen background slide show animation, and there were options to watch these slides without the content area. Yolande Centre D'art Sanssat (YCAS) is a artistic institution based in France, where art lovers can stay (bed & breakfast) and develope their skills by participating in all sorts of workshops. I designed & built this website with Joomla CMS. Unique in this website design was the full-screen background with customized fitting Menu System, a customized Slideshow System, and the different custom made Forms including a Pay-Pall Payment System for donations. 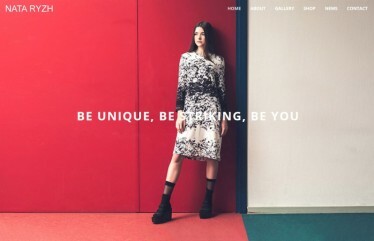 Dutch Touch is a special online project website created by the Dutch Fashion Foundation to promote Dutch fashion designers and their projects in foreign cities such as Berlin, Firenze, Milan, Paris, New York with also some projects in Amsterdam. I built this portfolio and news website with Joomla CMS. Print Boulevard (Print wat je wil) is a company based in The Netherlands, that prints images on canvas, banners, stickers, and on extra large paper. In this website visitors could upload their own images through a custom made webshop component or chose from images from the galleries, and order their print products online. This simple but functional Joomla CMS website had a built in webshop and payment gateway. I also supplied most of the images in the galleries. Shack / Slum Dwellers International (SDI) is a network of community-based organizations of the urban poor in 33 countries in Africa, Asia, and Latin America. This was a highly cusomized and designed website with Joomla CMS. I worked together with a graphic design company to integrate the design into the technical needs of this website. Avag Arbocatalogus is a Dutch company specialized in importing & exporting exotic fruits & vegetables. I built a simple Joomla CMS website for Avag in 2011. Psytech was (now retired) a small consultancy firm based in The Hague with expertise on assessment, especially within Human Resource Management. This simple Joomla CMS website was multilingual and even the logo changed to its appropriate language version when the language flag was clicked. SBC Projects shares specific IT news & information and gives services in architecting, engineering, implementing, and troubleshooting in Virtual Desktop Infrastructure (VDI) and Server Based Computing (SBC) environments. This website is mainly a blog website and has a Joomla CMS. Puur Rood is a graphic design & desktop publishing company based in The Hague, The Netherlands. I designed & built this website with Joomla CMS. Unique in this website design was the full-screen animated background with play/pause buttons, and customized fitting menusystem. Architecture studio based in The Netherlands specializes in Interior Architecture for consumers, retailers & corporate companies. Okan's Place was a beautiful resort at the west coast of Turkey, near Izmir / Çesme. I designed & built this Joomla CMS website on location (lucky me), and I also was hired to take some of the pictures of the resort which we have used in the gallery. Marija Miletic is a very talented sculpure artist based in The Netherlands. The ideas behind her work are often drawn from objects that are part of a visible world and sometimes from elements of nature. I designed & built this simple minimalistic website with Joomla CMS. Papaya Productions was company of Maja von Hanno, a Scandinavian artist who produced mixed media objects and sculptures. I built her a fully taylor-made portfolio website years ago using HTML and Adobe Flash technology. Susanne de Rooij is a singer, songwriter, and artist who mainly preforms in The Netherlands for special events. Hoogeveen Kleuradvies is a consultancy firm that advises interior and exterior architects on the choice of colors that can be used for the design of buildings and interiors. I designed & built this website with Joomla CMS. I also designed her Corporate Identity (logo, business cards & letterpapers). Jeroen Marges is a photographer based in The Netherlands. Mali Yoga is run by Angelique Schutten, a freelance yoga teacher. She teaches Gentle Flow, Yin Yang, Vinyasa and Hot Yoga classes in The Hague (The Netherlands) to beginners and intermediate students. I designed & built this website with Joomla CMS. I also designed her logo and corporate identity. Loodgieters Installatie Techniek (LIT) is a technical plummer & installation company based in The Netherlands.